Gobble: It’s a turkey … it’s a menorah … it’s a menurkey! Hanukkah, an eight-day Jewish festival also known as the Festival of Lights, begins at sundown on Nov. 27. 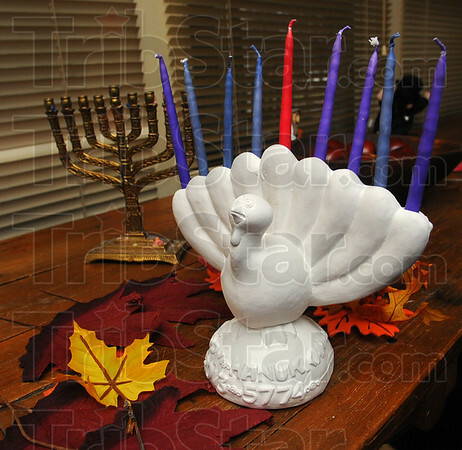 Thanksgiving is Nov. 28, creating a rare convergence of the two festivals people are calling “Thanksgivukkah.” Herchel and Jan Chait have this menurkey, a Plaster of Paris creation that holds the traditional 8+1 candles of Hannukkah.